This article not only shares good-looking brand strategy templates, but also offers an easy way for making brand strategy presentation diagrams. A brand will help encourage someone to purchase a product. Brand strategy is the plan of developing a successful brand so as to achieve specific goals. Developing a meaningful brand strategy will guide your firm forward in a clear direction. 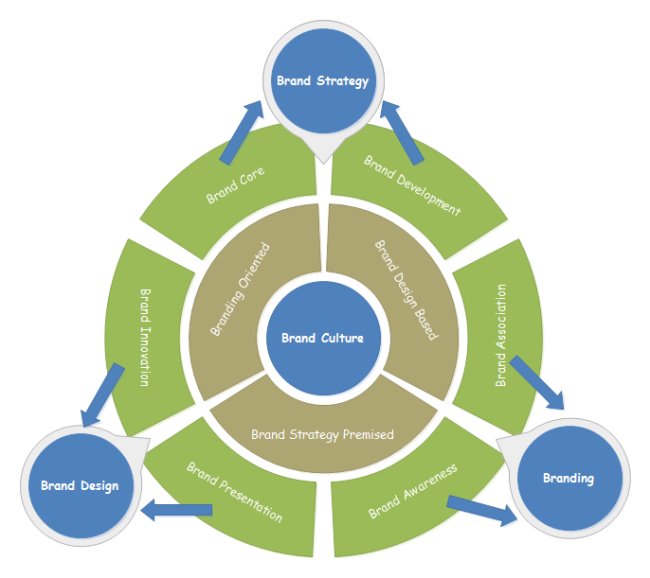 Brand strategy includes branding strategy, brand positioning strategy, and marketing strategy. This brand strategy template is created using a circle spoke chart - a great visual tool makes your strategy concepts organized and easy to understand. The template is especially useful in meetings, business presentations and company documentations. The catchy style and fresh look can help make your presentation more impressive and effective. If you need this brand strategy template, you can click on the picture and download. Through Edraw, you can re-edit the template with your own content and style. 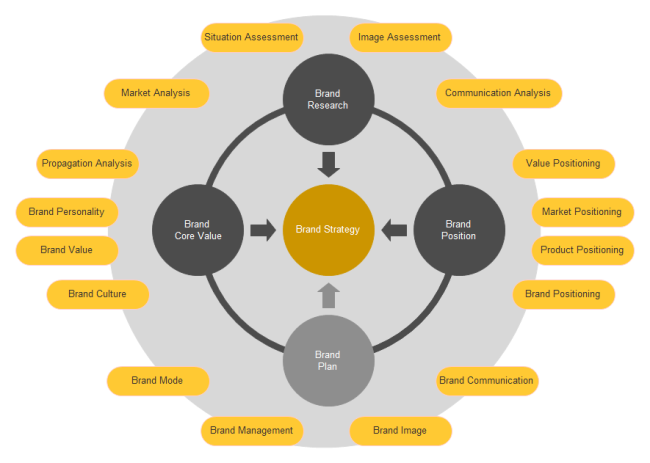 This brand communication strategy template is presented with a circular diagram. A graphic equals one thousand words' explanation. Using a graphical diagram to display your ideas sometimes can produce great results. Like the template shows below, the idea is displayed in a clear structure, very easy to catch. Using smart circular templates in Edraw, this diagram can be finished in less than five minutes. 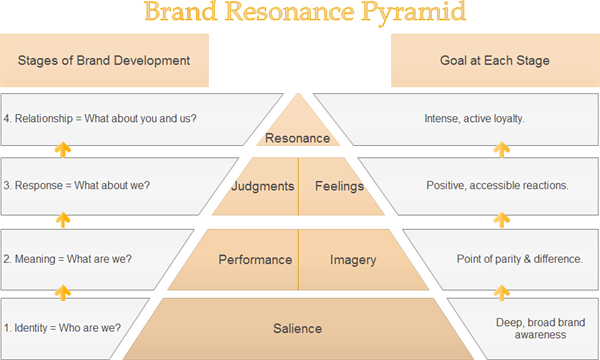 Here is a brand resonance pyramid diagram template. Pyramid diagram is very useful to illustrate the foundation-based and hierarchical relationships. Click the picture you can download this template and use in your own brand strategy planning.